Charnwood, 550 Newark Road, North Hykeham, Lincoln, Lincolnshire, LN6 9NG, UK. 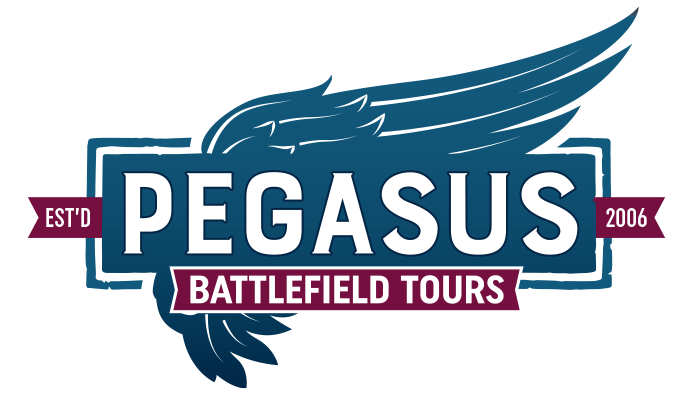 Pegasus Battlefield Tours will hereafter be referred to as PBT. 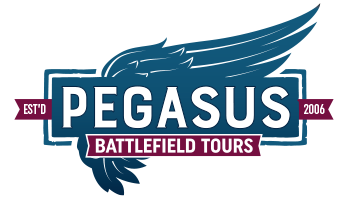 Please read the following clauses that set out the Terms and Conditions of booking your battlefield tour with PBT. When you contact PBT to make a booking we will discuss with you the details of your proposed tour and you will confirm your acceptance of these terms and conditions on behalf of yourself and other members of your party by paying PBT either the deposit equal to 25% of the cost of the tour or the full amount. PBT will then confirm acceptance of your booking in writing (normally via email). The contract between yourself and PBT is deemed bound only when PBT has confirmed in writing acceptance of your booking (normally via email). i. Currency – all payments in GBP sterling (£). ii. Payments may be made either by credit/debit card, cheque or bank transfer. iii. The full balance of the tour is due no later than six weeks (42 days) prior to the commencement date. If the commencement date is less than six weeks (42 days) ahead PBT will only accept a booking upon receipt of the full cost of the tour. All funds paid to PBT are held in a Client Account with Lloyds Bank, 202 High Street, Lincoln, LN5 7AP, England until completion of the tour. i. If, after PBT has confirmed acceptance of your booking but before the entire balance has become due, you wish to change the dates of your tour we will do our best to accommodate your wishes. Any changes requested after six weeks prior to commencement may, at the discretion of PBT, be treated as a cancellation of the original booking and will be subject to the cancellation charges as set out below. However, PBT will always attempt to resolve the matter by offering alternative dates. All cancellations must be notified in writing (email acceptable). More than 42 days prior to departure – Loss of deposit (25% of total tour cost). 42 – 28 days before departure – Loss of 60% of total tour cost. 27 – 11 days before departure – Loss of 75% of total tour cost. Less than 10 days before departure – Loss of 100% of total tour cost. Past experience has proven that on the rare occurrence a booking has been subject to cancellation, any issues have been resolved swiftly and positively. It is in the interest of PBT to provide personal assistance and flexibility in all matters. (Please note that if the reason for cancellation is covered by your travel insurance you should be able to reclaim these charges from your insurer). There may be unforeseen circumstances in which PBT have to cancel your tour and if this should occur PBT will return all money paid to PBT or offer an alternative tour, this includes vehicle malfunction and ill-health of the guide on any given day. However, if the reason for cancellation results from any event beyond our (or suppliers) reasonable control, known as ‘force majeure’, including but not limited to hostilities, political unrest, war or warlike activity, threat of war, riots, civil strife, terrorist activity, industrial disputes, natural or nuclear disasters, fire, flood, epidemic or health risk, on advice from any environmental health office or government body then PBT cannot accept liability or pay any compensation. This clause refers to extreme circumstances only and under normal circumstances an agreement between both parties will be discussed and agreed to mutual satisfaction. i. As many of our tours visit battlefield areas which are potentially hazardous, it is important to follow all advice provided. The battlefield guide cannot be responsible at all times for the group and it is a condition that a responsible and fit adult (designated group leader or parent) accepts responsibility for the good conduct of all participants during the tour. This is to ensure that all group members act in a responsible fashion and do not behave in a way likely to cause damage to property, harm to themselves or other people and conform at all times to the relevant local laws and customs. ii. As an extension to the above clause, invariably our tours visit cemeteries, graveyards, memorials and places of worship. It is imperative that all group members act accordingly in and around these areas. This should include the lowering of voices, no running and whilst inside places of worship the removal of any hats and caps. Photography is generally allowed – if in doubt please check with the guide. Over the years we have seen and experienced the dropping of litter and even spitting and this is not acceptable on any PBT tour. ii. PBT reserves the unconditional right to refuse a booking or terminate a tour in the event of conduct which in the exclusive opinion of any of its employees or principals is likely to cause distress, damage, danger or annoyance or damage to property belonging to members of your party, employees of PBT or any third party. This includes your failure to advise PBT of any medical condition or disability as described in paragraph 7 below. If your tour is terminated as a result of any of the conduct described in this paragraph, PBT will not be responsible for any loss, cost, expense or damage sustained by you or any person in your party as a result thereof. i. If you have any special requirements, including any disability, PBT will be pleased to accept your booking insofar as we can accommodate you in our vehicles. Any disability or special requirements must be notified to PBT in writing at the time of booking. You should also be aware that although many sites and hotels cater for wheelchairs, there may still be steps or stairs and some sites and hotels visited may not be accessible to those with special needs. ii. If you feel at a given site that the conditions are beyond your capabilities your driver/guide will always try to find alternatives to ease access where available. If you have special needs these will have been notified to us in advance and taken into account in arranging the details of your tour. iii. By booking a tour with PNT you warrant that you and all members of your party are physically and mentally fit to undertake the itinerary agreed. i. For your protection and ours it is a condition of your contract with PBT that you and all members of your party have in force at the commencement of your tour travel insurance which will indemnify you in respect of the normal risks of travel, including in particular injury, illness or death. Your policy, should as a minimum, cover the cost of emergency medical treatment, repatriation, loss of baggage, compensation for travel delay, and cancellation fees. All European travellers should be carrying valid EHIC (formerly E111) cards. ii. PBT is insured in respect of public liability. PBT accepts liability for personal injury or death arising out of its negligence or for loss arising out of any breach of contract on its part, but will not be liable for any consequential or purely economic loss whatsoever. However, PBT do not take any responsibility for any personal injury suffered, personal items lost or stolen during a tour, loss or damage arising from ground conditions at any site during the tour. Although PBT is pleased to assist with arrangements for travel and accommodation, it acts as agent only for the supplier and cannot accept any responsibility for any failure or inadequacy in the accommodation or travel booked. You and all members of your party must carry valid passports for all destinations and it is your responsibility to ensure that you and all members of your party have any necessary visas. 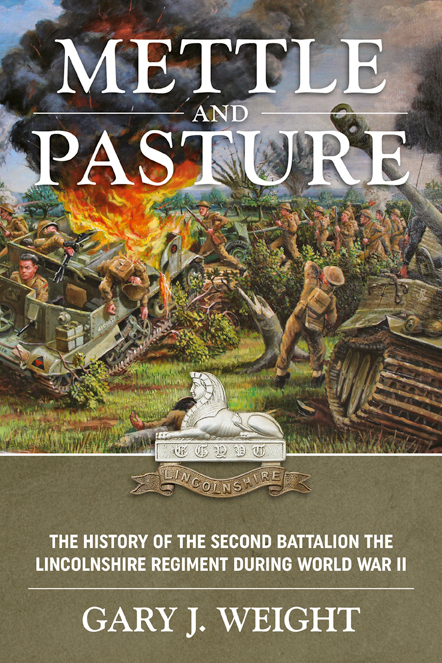 Any complaints or dissatisfactions should be notified in the first instance to the tour guide or driver and if not immediately resolved should be notified in writing either via email or to Pegasus Battlefield Tours, Charnwood, 550 Newark Road, North Hykeham, Lincoln, LN6 9NG, England within 28 days after completion of the tour. You agree that if the complaint cannot be immediately resolved by PBT to your satisfaction you and PBT will enter into mediation before you take any other action. You and PBT agree that these Terms and Conditions are subject to English law and the courts of England and Wales shall have exclusive jurisdiction in respect of any dispute or difference arising between the parties.